Flexible timing. Broken down by task. 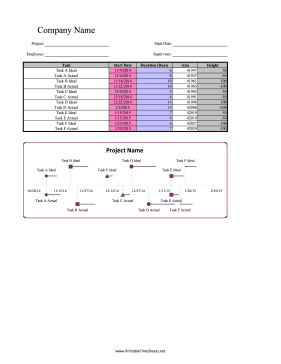 You fill in actual and ideal start dates and duration. Axis, label, and height are calculated automatically. Data presents as a timeline with events spaced out in 15-day intervals. Ideal are on top, actual below. Duration is represented by a blue bar the length of the number of days spent.